The proprietary designs and exceptional performance of Aerobie products are widely recognized. They have been prominently featured by every type of major media around the world for three decades. The Superdisc flying disc has been singled out for Popular Science Magazine’s “Best of What’s New” award. The AeroPress coffee maker has earned rave reviews for the delicious flavor of the coffee it brews. 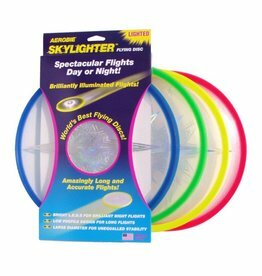 And most notably, the Aerobie Pro flying ring was used to set a Guinness World Record for the farthest throw when it was thrown an incredible 1,333 feet (406 meters).